Autism... What Does It Mean to Me, Too? 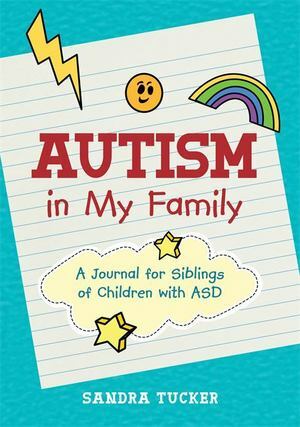 The relationship between siblings can be tough, and the sibling dynamic can be further challenged when one child has autism. This interactive workbook is designed for siblings of children with autism. Introducing the experience of autism in simple language, children are encouraged to complete activities that identify differences and strengthen relationships. This book is focussed on understanding and supporting a sibling while developing individual emotions and identity. The pages are designed to be drawn on and personalized by the child. Ideal for young children aged 8-12 who have a sibling with autism, the activities can be completed with a parent's guidance or on their own. Full of resources, strategies, and exercises, this workbook can support professionals working with children and facilitate healthy sibling relationships.